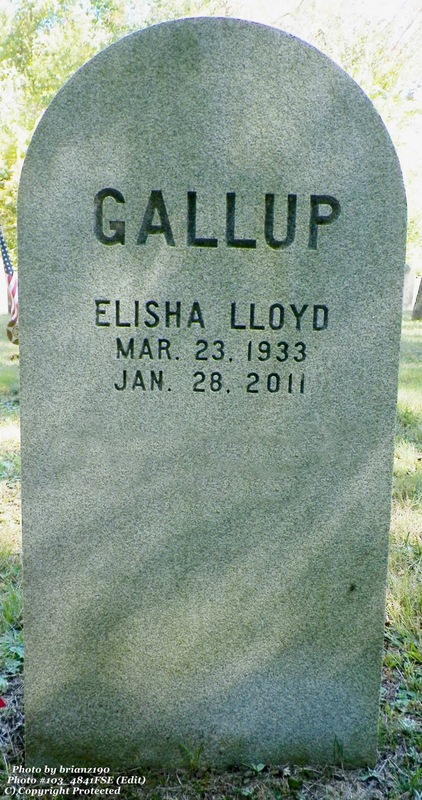 Elisha has two gravestones. 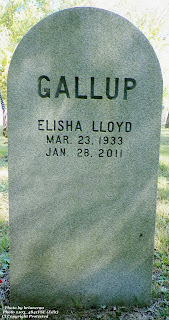 One was provided by the military and one is for he and his wife (whose name is on the gravestone but as she is still living, Brian correctly removed her name in the photograph) He is buried at the beginning of Row #6 in the Gallup Cemetery. Having two gravestones is not as unusual as you might think. 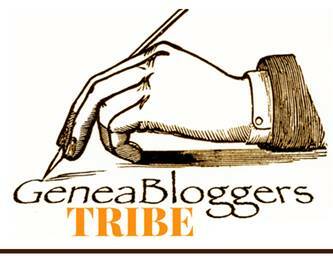 Many people have their name and birth date on a family stone, and then enter the service and it is up to the family to finish the ending date and enter any wives or children. 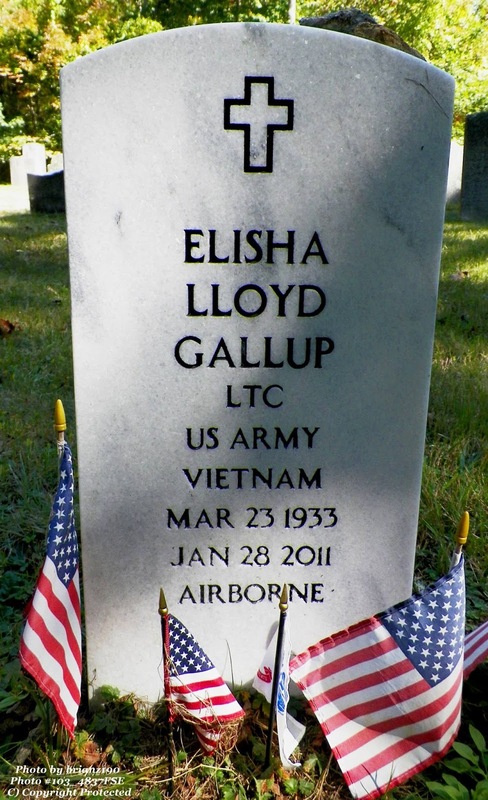 Elisha was the President of the Gallup Family Association from 1981-1990) As you can see by the military gravestone, he served in the Vietnam War. 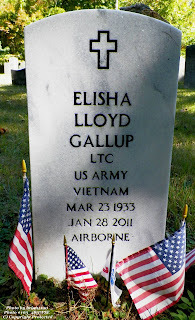 The current Gallup Genealogy tells us that he served from 1965 to 1966.